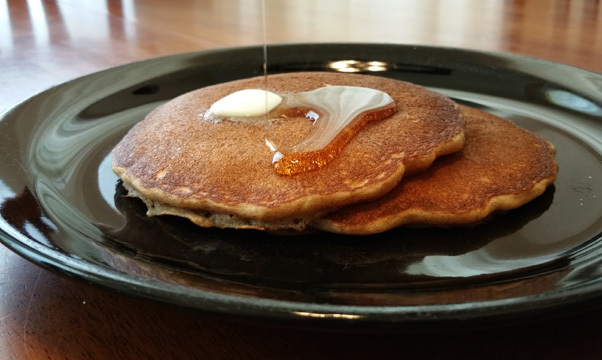 Cinnamon Masa Pancakes (with gluten-free option) | Have YOU Ben Starr Struck? So I make pancakes 2 or 3 times a week for breakfast, and that gets boring. Yeah…you can add chocolate chips or nuts or berries. Yeah…you can make gingered citrus syrups to pour over them. You can top them with whatever. But after a few years, they get boring. So I developed a new pancake recipe using masa harina for part of the flour, and people can’t get enough of the rustic, warm, earthy texture and flavor. I love masa harina. I remember, years ago, when it was almost impossible to find. Now I find it in virtually every grocery store, even in Seattle and Toronto. And that’s a good thing. 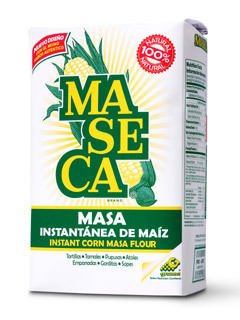 Masa harina i s “instant nixtamalized corn flour,” which is a tongue-teasing way of saying “the stuff you make tortillas and tamales with.” (And also huaraches and sopes and gorditas and pupusas, and the list goes on and on…) But masa harina is WAY more versatile than just these Latin American classics. I use it in all sorts of applications in my kitchen. But before we delve into how masa can transform your boring old morning pancakes into something unique and new, let’s talk about WHAT-IT-IS, and how this weird and very old word “nixtamalization” mumbo-jumbo transforms ordinary corn into the unforgettable flavor of a fresh, warm corn tortilla. The corn that most of us are familiar with is sweet corn. It’s what you buy on the cob in the produce section, or frozen in a bag in the freezer section, or in a can on the canned veggie aisle. Sweet corn is a very specific family of corn that has a much higher sugar content than the regular “field corn” that represents the overwhelming majority of corn grown on the planet. (The corn plant is actually a grass, by the way. Corn is grass seed. Really, REALLY big grass seed.) Normally, corn is harvested when it’s mature or “ripe”…by that time its grains have become hard as a rock, and all the sugar content inside has been converted into starch. But sweet corn is picked when it is immature. (ie, NOT ripe) At this stage, the kernels are still filled with sweet sugar that hasn’t yet turned to starch, and the hull surrounding the sugar is still fairly soft and pliable. That’s when we eat it. Unfortunately, unripe corn is highly perishable. It can’t be stored. While its sugars are still sweet and juicy, it can not only be enjoyed by eating, but is MUCH easier to transform into ethanol at this point. But it can’t be stored. So the vast majority of corn is allowed to fully ripen until the kernels are rock hard with very little moisture. At this point, it can be stored almost eternally (crucial for native farming peoples to tide them through long cold winters and seasons of famine), because the shell coating the outside of the kernel has become so hard and protective. However, it’s impossible for human teeth to break it open to get to the starch inside. So that kernel has to be ground up for us to be able to eat and digest i t. When you grind up mature, hard corn kernels, you get…cornmeal. The stuff you use to make cornbread and fried okra. But grinding corn that fine requires powerful machinery…machinery that wasn’t around centuries ago when the native inhabitants of the Americas were growing and storing corn to eat through the winter. 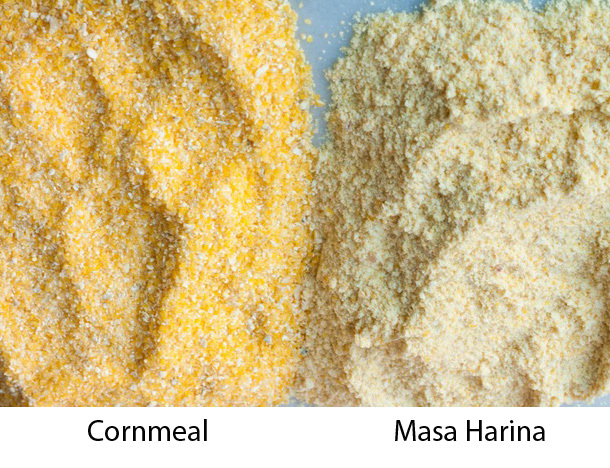 Cornmeal is a relatively new way to eat mature corn. The hominy you hated as a child is nothing more than masa that hasn’t been ground up yet. Masa harina is then made by dehydrating the paste and grinding it a bit further. This miraculous transformation not only changes the flavor from boring, bland, ordinary cornmeal into something earthy and wonderful and delicious…it also dramatically changes the nutritional content of the corn, freeing up a crucial nutrient…niacin…which can then be absorbed by the body. Cornmeal does not provide absorbable niacin, so early peoples who subsisted on non-nixtamalized corn suffered a range of debilitating diseases associated with niacin deficiency. This is one of the reasons the mighty empires of the Aztecs, Incas, and Mayas were so much farther advanced than the Europeans. Their diet was nutritionally balanced, so they were healthier and dealt with less disease. You can nixtamalize corn at home. It’s not hard to do. The hardest part is finding reasonable quantities of hard field corn and lye or slaked lime. (A 50-pound bag of deer corn and a 50-pound bag of lime from Home Depot take up a lot of space and will make more masa than you’ll need in a lifetime!) Luckily, most Latin American markets carry little bags of lime call “Cal” which you can buy cheaply. If you wanna try it, bring 2 cups of hard field corn, 6 cups of water, and 2 Tablespoons of lime to a simmer over medium heat. Turn off the heat, cover, and let the corn sit overnight. 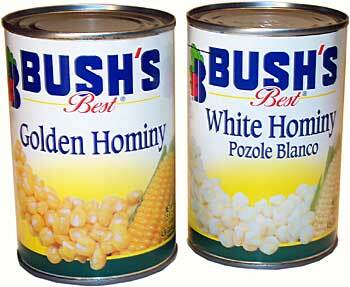 The next day, rinse the now-hominy several times, removing any skins that float to the top. Grind the hominy into masa in your food processor, adding a little water as necessary to make a thick paste. But why go to that effort when you can add a little water to masa harina and have fresh masa in an instant? Which is why it exists. Masa harina has a wonderful, rich, earthy flavor and slightly coarser, grittier texture than wheat flour (but still smoother than cornmeal) that can be put to excellent use in baking. (I also like to thicken soups with it, and sometimes I substitute masa harina for the flour portion in my cornbread recipe to make a gluten-free cornbread that tastes much better than ordinary cornbread!) Masa is also gluten-free and should be at the top of every Celiac’s list of alternative flours to experiment with. These pancakes will help your family fall in love with breakfast all over again. They take no longer to make than ordinary pancake batter from scratch, which only takes about 1 minute longer than using that dreadful boxed mix that’s full of salt and preservatives. So ditch the box, and give this a try! GLUTEN FREE NOTE: Convert this recipe to gluten-free by using 1 full cup of masa harina, plus a couple of pinches of xanthan gum or your normal binding assistant, like flax meal. The texture will be a bit more coarse with the elimination of the flour. You can also sub 1/2 cup of oat flour or one of your other favorite specialty flours. Stir the liquid ingredients together with a fork, then widen your stir to begin incorporating the dry ingredients. Stir until the mixture begins to smooth out, but still has some lumps here and there. Cook the pancakes the same as you would ANY pancakes, but realize they are a bit more delicate than all-flour pancakes because there’s only half the gluten to help bind everything together. You’ve been reading my blogs for years and don’t have this yet?!? 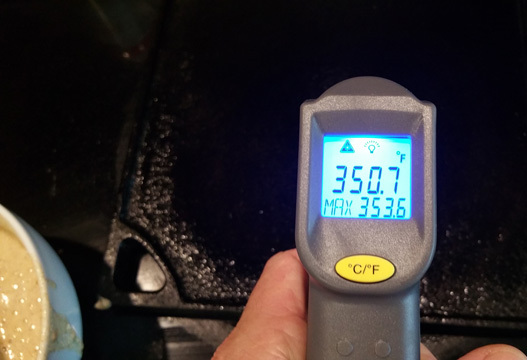 If you’re new to cooking pancakes, or just have terrible pancake luck, start with a cooking surface that’s right at 350F. How do you know the pan is 350F? With your infrared no-contact thermometer, of course! Get one online, or at your nearest Harbor Freight when they go on sale for under $30. I love this thing, and I use it all the time. It will make your cooking better. Your grandmother didn’t need it because she made pancakes every morning for 50 years, and she knew by holding her hand above the griddle, or by putting a drop of water on the surface and watching exactly how it danced around, whether it was the right temperature. Maybe we’ll get there someday! DO NOT add fat to a nonstick cooking surface before you cook your pancakes. I’ve seen countless cooks add a pat of butter to a nonstick skillet before cooking pancakes. This turns your cooking method into frying, and results in a VERY ugly pancake, and unneeded fat content. NO fat or cooking spray is necessary for a nonstick surface. For a well-seasoned cast iron surface, I spray very lightly with cooking spray and then wipe it off with a paper towel before cooking each pancake. Add about 1/3 cup of pancake batter to the surface. If you have the proper temperature, you’ll hear some nice sizzling. The batter will spread, and eventually you’ll see bubbles begin to appear. Watch the bubbles near the edge of the pancake. 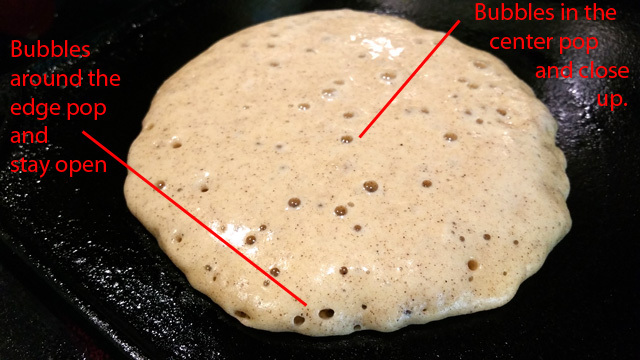 When they begin to burst without the hole closing back up, and the edge of the pancake looks drier than the batter at the center of the pancake, it’s time to flip. Quickly slip your spatula or turner under the pancake, lift it off the surface, and quickly invert it and let it fall back onto the griddle. At this point you can add a pat of butter, and continue cooking for about 45 seconds before removing to the serving plate. This entry was posted in Breakfast, Quick Breads, Recipes, Vegetarian and tagged corn, cornmeal, gluten free, masa, masa harina, nixtamal, nixtamalization, nixtamalize, pancakes. Bookmark the permalink. I learned the water droplet test from my mom when I was a kid. If they just sit there its not ready, when they dance its perfect. Guess I’m an old school cook though I didn’t have a grandma to learn from. Of course I’m still learning new tips and techniques. These pancakes sound divine. I must try them this weekend. Thanks for posting this. GrandMother once showed me how to make corn bread with Hominy. It was great like all here corn breads. I am sure you know what “Gritty Bread” is and have made it. Most people don’t know that it can be made with fresh corn off the cob with fresh milk. Does stick to the teeth thou. Maybe you can share your reciepe. Down here, that’s what we use to make arepas. I like to use butter and cheese in the masa to give them flavor and then I cook them on a griddle, but people have taken mostly to the Venezuelan version – stuffed arepas. Also, you can fry disks of masa harina, open a small hole, put an egg inside and fry them again until the egg is cooked, and that’s an arepa de huevo, a tradition snack from northern Colombia (where I’m from). Andrea, that arepa de huevo sounds INCREDIBLE!!! Well, let me know when you make them, Ben!